Home > Blog > How To Style Your Handbag With A Silk Scarf - 5 Ways! In just a few seconds, you can style your handbag just using a silk scarf and create A) a stylish talking point, B) something to wear when the temperature in the room drops and C) A splash of colour to match your outfit! 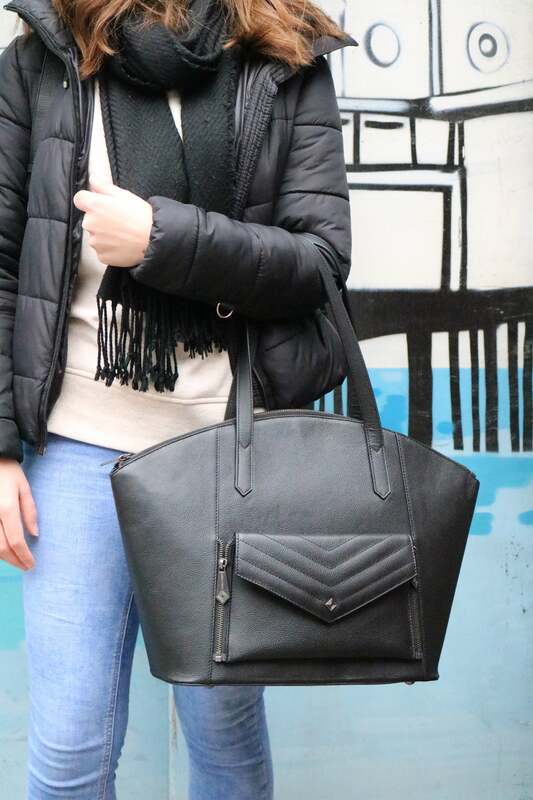 Today, I'm going to hand over to our fabulous intern, Amila, who has some beautiful ways to style your handbag! Hello. My name is Amila and today I will show my five ways of styling your handbag strap with a scarf. First, check if you have any labels on the scarf (you'll want to hide these in the wrap). Second, lay the scarf out and fold it as shown (fold to hide the labels). Then take your bag handle and tie the scarf to one end. Next step is to wrap the scarf around the handle. Watch out that you don’t end up with not enough scarf to wrap the whole handle! When you reach the end, tie it off and arrange the ends of the scarf over the bag as pictured. See the video below to see - don't forget to pause the video if you need more time to wrap your scarf. First, lay your scarf out and fold as before, being careful to fold any labels inside. Wrap the scarf once around the handle. Take the other end of the scarf and poke it backwards through the handle. Then, start twisting the scarf. Start loosely at the beginning (it should be consistent all the way through). When the scarf starts to coil on itself let it do that. Next step is to twist the scarf around itself to try to create a rose shape. To finish, tie the scarf off. Watch the video if you need a better explanation. Again, don't forget to pause the video if you need more time to wrap your scarf. Watch the video for help step by step - pause the video or use the replay button if you need more time! Take two scarfs which are the same size - silk squares are perfect. Fold the two scarfs as above methods (and as shown in the video). Tie the first scarf in the middle at one end of the handle. Make sure that all four scarf lengths are the same. When you come to the end you can either use a brooch to secure it or tie a knot like the video and style the free ends. Watch this video to see scarf braising in action - pause the video or use the replay button if you need more time! Take your scarf and fold it into thirds. Tie a knot in the front around your bag. Adjust the scarf to fit around your bag as it looks best. Watch the video below to see 'the wrap' in action.